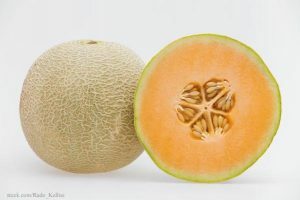 The cantaloupe that caused the deadly Listeria outbreak of 2011, wasn’t grown in California, but that outbreak prompted California growers to develop a mandatory food safety program that was in effect during this year’s growing season. Although California produces 75 percent of all cantaloupes sold in the U.S., there has never been a foodborne illness outbreak associated cantaloupe grown in California, and the growers there want consumers to know that they are trying hared to keep it that way. The CCAB, which has operated under direction of the California Department of Food and Agriculture (CDFA) since 1988, ia an industry leader in food safety that developed best practice measures after a Salmonella outbreak linked to imported melon 20 years ago. Over the winter, members unanimously voted to add a mandatory program using United States Department of Agriculture trained CDFA auditors to verify that food safety practices are being following by all cantaloupe producers. A program that uses CDFA auditors is meant to avoid problems associated with growers hiring private auditors. “These programs make a lot of sense in today’s fiscally challenging times because they represent a public-private partnership in which government provides a truly independent, third-party inspection service with funding provided by industry rather than the taxpayers,” aid Karen Ross, Secretary of CDFA. The new program will meet or exceed requirements in the Food Safety Modernization Act when it is implemented. Eventually, consumers will be able to identify California cantaloupes produced under the CCAB program through a certification seal.